Bob handles our Log Procurement & Veneer Sales. 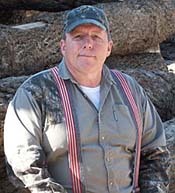 He has been with the company since 1994 and has over 30 years experience in the lumber industry. Bob is a NHLA certified grader and has been around the lumber industry his whole life, giving him invaluable insight to assist our customers and business partners.